This blog focuses on the environment. Today, saw the first real snow for some years in Jerusalem. Schools were closed; so many families spent a day together. The traditional snowman was built, the clothes were dried out and the family gathered together to watch a video. More snow is forecast for the next day, possibly two so the ritual will continue. Improving the environment is now the internationally stated gaol. However, words are not enough, there needs to be action taken. A great new project has started in over 20 schools in the Bet Shemesh ( situated between Jerusalem and Tel Aviv ) to educate children on the issue of the protecting the environment, by giving them the tools to calculate their own and their school’s ecological footprint. The web site www.svivaisrael.org has a questionnaire to allow you to calculate your personal ecological footprint. I did it – the results are quite frightening. If everyone lived my lifestyle, we would need 3 earths to meet the need. Will the Snow Arrive This Year? The grandchildren in Jerusalem are getting excited about the possibility of snow this week. Even those in the Tel Aviv area are making their plans to visit Jerusalem if snow arrives. Whether their parents are involved in these plans remains to be seen!! A heavy fall of snow in Jerusalem happens only once in 5-7 years so the children want to make the most of it. Temperatures are expected to reach freezing levels Tuesday night during the inclement weather, which is forecast to begin Monday night and continue through Thursday. If it does happen, schools will close giving the children every opportunity to enjoy the snow to its maximum. It is reported that the Jerusalem municipality is on standby to clear streets and salt main roads to prevent freezing, while the city's hotline will be manned by extra staff. The Mayor of Jerusalem announced that all homeless people in Jerusalem will be offered the option of staying in hotels during the inclement weather expected in the area. The Jerusalem Post reported that according to the plan dubbed "Warm House," Welfare officials in the city have been instructed to provide shelter for all the homeless people until the cold front passes. Further, all Jerusalem residents are being asked to phone the municipality to report any homeless person who is on the street. If the snow does arrive, we need to pray that it also falls on Mount Hermon since in the spring; it is the melting snow which helps to fill the Sea of Galilee. We are not making any headway in filling up the Sea this winter. In fact today it was reported that in 2007 there was only 50% of the average rainfall. It is not going to be long before the government has to consider rationing. We typically collect rain water on our balcony each winter and use it during the summer to water our plants. However, whereas in the last few years we have had 120-150 bottles by the winters end, we are well down on the number of bottles stored this year. Maybe we will have to smell a bit more in the summer and take fewer showers!!! The events of this week in Gaza show once again how the world press has been and continues to be manipulated. To be honest, I sometimes wonder if they ever do realize how much manipulation does go on. What was overlooked during the interview was the fact that the rooms in the building in the background of the location were fully lit!! The manipulation of the media by the Palestinians goes back to the first official visit of Palestinian revolutionaries to North Vietnam 1964, when Arafat's lieutenant Abu Jihad, the man who would eventually head the PLO's military operations went to study the strategy and tactics of guerilla war. The most significant visit to Vietnam, however, took place in 1970, when General Vo Nguyen Giap, the Vietnamese master of insurrection, extended an invitation to Arafat and his deputy from Fatah, to come to Hanoi for discussions with a Politburo team on how North Vietnam could help the Palestinian struggle. The Palestinians stayed for two weeks, and during this time examined the reasons why public opinion in the West towards the Vietnamese struggle was more favorable than towards the PLO. The Vietnamese also coached them on media packaging and manipulation, suggesting that they develop appealing catchy programs in order to seem flexible. The PLO has maintained a relationship with the Socialist Republic of Vietnam through to the present. 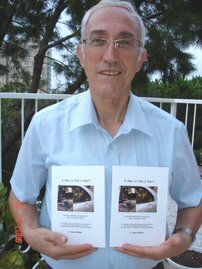 Fatah has had the works of General Giap translated into Arabic. A Cold and dark Winter in Gaza? I am sure that the actions of shutting down Gaza are giving rise to innumerable stories in the overseas press concerning “humanitarian crises”, “occupation” and all the other buzz words. Hamas, as is to be expected, are claiming lives are being lost in hospitals yet there has been no independent confirmation of this. The facts are that the supply of electricity to Gaza from the Israel and the Egyptian power grids (124 Megawatts and 17 Megawatts respectively) has continued uninterrupted. These 141 Megawatts of power represents around 75% of Gaza's electricity needs. It is the case that while the Gaza population remains in the dark, the fuel generating power to the Hamas rocket manufacturing industry continues to flow unabated. Also the Hamas claim of a humanitarian crisis in Gaza is also greatly exaggerated. There is no shortage of basic foodstuffs, and Gaza patients who need treatment in Israeli hospitals continue to travel into Israel for care. "Yesterday 56 kassams , today only 40 but the day is not over yet. Yesterday morning I was coming to work at almost 8:00 in the morning and the moment I enterd to Sderot 4 kassams landed in a few minutes. I had no place to hid,e the alarm screamed over and over again. I couldn’t move, I felt like I couldn’t even breathe. The smell of smoke and the sound is still real like I’m there once again. I came home to our kibbutz, thought to my self a little quite, it was 17:00. After half an hour, 2 kassams fell and for 3 hours there was no electricity, it was dark and very cold. I did my best to make the children play with me and maybe have fun but I think they don’t believe me any more when I say that it will be alright. We all do our best to continue normal life but what can I say? Nothing is normal. Today a kassam missed Inbar on his bus to school, the parents were histerical and everybody talked about the miricle but when I spoke with Inbar he dismissed it like it was nothing. I ask you is this normal that a 11 year old boy won’t be afraid? Maybe fear is his daily experience so it doesn’t count or mean anything." The country is in the middle (or hopefully towards the end of a cold spell that has left at least four people dead from hypothermia, Israel Electric reported this week that demand for electricity hit an all-time winter high of 10,024 megawatts this week, representing 94% of its potential generating capacity. Temperatures are getting as low as 0°C and with the windchill factor reaching -5°C during the evenings making air conditioners and other electric appliances work overtime. With electricity generation so close to its maximum there are fears that there may be a need to initiate rolling blackouts to prevent the power system from shutting down. The last time there were blackouts was in June 206 when the electric company was caught off-guard by an early wave of extremely hot weather. Then it was necessary initiate a series of intentional blackouts to protect the power system from shutting down due to a spike in demand and insufficient capacity. Newspaper reports contain a campaign by the Electricity company to provide our consumers with tips on how to save energy, and there are television commercials, radio advertisements and with pieces of advice included in monthly electricity bills," she said. Included among tips is the recommendation to not set home thermostats above 20 degrees Celsius, as every degree higher forces the unit to work 5 percent harder. The previous high for electricity demand in the winter came two years ago, peaking at 9,450 MW. The all-time high demand, winter and summer, was set this past July, topping 10,070 MW. Further, a campaign among the country's manufacturers has been initiated to encourage them to cut down on energy usage during peak hours in exchange for reduced rates during the rest of the year. Brrrr!! At least the forecast for the next few days is a warming trend. But where oh where is the rain? Nothing of significance in the last two weeks and it is already the middle of January. The Sea of Galilee is still as of today only 47 cm above the red line and 3.73 metres below the upper limit. There is going to be fun this summer!! OK, so Bush has been here and gone. Whilst the public were warned of traffic problems in Jerusalem during Bush’s visit, it appears many decided to stay home. So when we decided to go to the theatre last Thursday, which just happened to situated next door to Bush’s hotel, we left ourselves plenty of time to get there, expecting the worst. In fact we arrived at the theatre so early we had to sit around for an hour. From the car park to the theatre was a 10 minute walk and the streets were simply empty. Not only were there no vehicles on the road but the number of pedestrians was minimal. In fact, it was rather like feeling of being in a ghost town. Nevertheless, an audience did turn up for Gilbert and Sullivan’s “Mikado”, http://en.wikipedia.org/wiki/The_Mikado which was a wonderful performance. The Emperor of Japan did invite the President of the United States to meet him but the offer was declined!! What will develop from Bush’s visit remains to be seen. But, let’s not “beat around the bush”, the Israeli public is skeptical and the Palestinians continue in their “sweet” way. Finally residents in the North of the country are going to have their own ambulance service. A new Magen David Adom station http://www.jewishvirtuallibrary.org/jsource/Health/mda1.html has been established in Carmiel http://www.webscope.com/karmiel/ with the generosity of British Friends of Magen David Adom. The new station will serve not only Carmiel but also Tefen and the Arab villages in the area. The communities in the north have been waiting for 30 years for this day and finally the patience has been rewarded for the 150,000 residents of the area. Meanwhile further to the East, the Sea of Galilee has reached its lowest level in five years, the Water Auth ority announced Monday. The water level in the lake was -212.59 meters at the end of 2007, which is 3.79 m. below the top red line. The last time the lake dropped that low was on March 9, 2003. Israel's main source of drinking water dropped 42 cm. in 2007, the authority said. 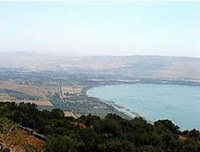 In addition, since 2004, the Sea of Galilee's water level has been steadily decreasing. This is in part because of below-average rainfall over the last three years, the Water Authority said. If this winter does not produce more rainfall, it will be the worst four years since the early 60s, the authority warned. Four consecutive years of below-average additions to the Sea of Galilee have only occurred twice in the last 77 years. In the short term, pure drinking water is planned to be diverted from agricultural use to households, in addition, the water authority has embarked upon a campaign to promote efficient use of water. It's a campaign with a twist, as it's directed at Israel's youngest inhabitants. "The focus of the campaign is on children. A spokesman said "If I come into your house and see you washing dishes and the water is running all the time, I'll ask you to stop and change how you wash your dishes. And to be polite, you'll do so, but go back to what you know tomorrow, however, if parents feel a tug on their leg while they are washing dishes and their children ask them to change their ways, then they will, because they want to assure their children they've been taught the right message." In the long term, Israel has put its full support behind desalination plants. Said the spokesman, "In the longer range, the Water Authority is working to stabilize the water market and reduce reliance on natural sources," There are currently two desalination plants operational in Israel and another three expected to be online by 2013. The plant in Ashkelon is the biggest of its kind in the world and produces 108m. cubic meters of water a year and a smaller one in Palmahim produces 30m. cubic meters. A plant near Hadera is set to open by 2009 with a capacity of 100m. cubic meters. Another two plants, one in Ashdod and another near Nahal Sorek, are expected to be ready by 2013. The total capacity of all the plants would then stand at 505m. cubic meters a year, which would go a long way toward satisfying demand.. Israel consumes about 700m. cubic meters of pure drinking water a year. a) are the Palestinians able to do it? First of all, the new logo “commemorating” 43 years of Fatah shows Israel yet again not existing in their mindset. support of terrorism and hostility to Israel. b) the 19 UNRWA refugee camps in Judea and Samaria, which are hotbeds of terrorist activity, are controlled exclusively by armed militias and Palestinian security forces are not permitted entry. c) the Palestinian press and TV constantly refer to war rather than peace. d) Mahmoud Abbas, president of the Palestinian Authority, has a reputation amongst the Palestinians as a weak and ineffectual leader, unable to deliver and so weak that he is afraid to leave Ramallah. Whilst Abbas is presenting the picture of moderation and peace that the West want to hear, the intentions seem to be just the opposite and the various meetings held since Annapolis point toward intransigence, support of terrorism and continued hostility to Israel. Friday sermons broadcast on PA (Abbas-controlled) radio that call for complete Muslim control of the area and “victory” through conflict. The picture painted for foreign consumption is one of Abbas and the Fatah standing against a terrorist Hamas and providing the region with a distinct moderate alternative. The reality is that there are connections between Fatah and Hamas now, which, by all indications, will only grow stronger. Isn't it time for Bush to look at the realities on the ground? With the close of the semester imminent for the overseas students at Haifa University, http://www.haifa.ac.il/index_eng.html we, together with friends in the neighborhood, were asked to host some students for a traditional Friday night meal. Our two guests were from Germany, both Christians. One of them had ambitions to work in the German foreign service and as well as his mother tongue, German, spoke English and Italian fluently. Over dinner, the conversation ranged from social topics, family topics and, of course the position of Israel vis a vis the Palestinians. Both our guests expressed the view that media reports in their home countries do not show the true face of Israel. In fact, both were faced with family opposition to their proposed visit here, feeling it was “too dangerous”. Having been here, they both confidently stated that they had no problems, they felt very safe and not in least inhibited in their traveling around the country. At the end of the evening, all the students gathered at a single meeting point to return to their dormitories. On Sunday, I met with the group leader who was delighted with the reactions of the students to the hospitality and wants to repeat the exercise with the new group that will be arriving at the end of January. Haifa University is well known for its diversity of student population and has ongoing programs for overseas students. Having had two guests for a Friday night meal, this was, as they say, chicken feed, compared to the planned “invasion” of all our family members converging for the coming Sabbath at our home in Haifa, all 21 of them. The logistics of eating and sleeping are rather significant, to say the least, and we are spending much of this week in preparation for the event. This will be the first time our 3 children and their families (15 grandchildren in all) will be here with us at the same time. The location of mattresses, sleeping bags, pillows is time consuming but we are looking forward to a rousing weekend to celebrate a significant birthday milestone for me. The local school has proven very cooperative in allowing us to borrow the mattresses they use for physical education classes. Let’s hope the neighbours are not disturbed too much! !